CAN WE REDUCE AND SAVE YOU MONEY ON YOUR PRINTING AND MAILING COSTS? Yes Response are able to provide an audit of your printing and mailing requirements to ensure you achieve a cost effective solution. Yes Response work with a trusted panel of printers, downstream postal service providers and parcel carriers to ensure we deliver a high quality and effective solution on time. A recent enquiry from a prospective client who requires a series of four mailings over an eight week period to go out promoting product launches at trade exhibitions; we were able to identify cost savings in excess of £3,000 (25% of the total cost) for printing, lettershop and postage costs. Let Yes Response save you money by doing an audit on your printing and mailing requirements without obligation. In Germany parcel senders may soon be saying goodbye to the sticky label as digital codes are now being used instead of labels. Spring 2015 sees the launch of this new digital parcel service. Small businesses and shippers will be able to use DPD’s online parcel shipping portal DPD Web parcel, and also for e-commerce platforms such as ebay. A digital QR code is sent to the shipper’s smartphone to replace the physical label. The shipper then takes the parcel to the DPD parcel shop where the QR code is scanned by a handheld scanner. The parcel shop then puts a mini label on the parcel. Before customers have had to print out their own label and attach it to the parcel. Let’s see how long it takes before this new concept arrives in the UK! AMAZON’S OWN PARCEL DELIVERY SERVICE – AMAZON LOGISTICS! Royal Mail’s profitability will suffer this year as a result of its largest client Amazon launching its own delivery service called Amazon Logistics. Although the Royal Mail have exceeded its mail delivery quality targets and bulk delivery performance, Amazon Logistics is expected to wipe out as much as half of the growth in UK parcel volumes in the next two years. Amazon have said it’s all about expanding the total capacity in the UK for fast delivery. Also it will be the most effective and manageable system when volumes rose sharply over the Christmas period which no one carrier can meet. How long before we will see Amazon branded vehicles and uniforms for their delivery staff? This along with an ever competitive and price sensitive market for parcel distribution, resulted in City Link going into administration over Christmas. Yes Response use a diverse range of postal and parcel carriers to ensure we provide a cost effective, flexible and reliable service to our client’s customers. 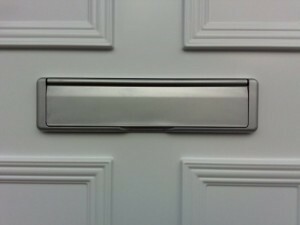 only one letterbox! And of course newspapers and magazines. As Yes Response predicted last April in our news section consumers have certainly embraced the Click & Collect services now available at leading retailers. John Lewis have reported that 56% of their online shoppers opted for collecting goods from store rather than home delivery in the Christmas 2014 period. This popularity overtook home delivery for the first time. Online shoppers see the convenience of not having to stay in for home deliveries and also no charge for delivery. Many businesses have now stated that no personal parcels are to be delivered to the workplace. In the past this has caused problems including extra work for staff receiving the parcels, disturbance and health and safety issues with sometimes heavy and bulky parcels cluttering up reception areas. Click & Collect provides a more convenient way of shopping for consumers and for retailers as it increases the footfall, something which has been on the decline with online shopping. Shoppers when collecting goods from store may also be tempted to buy other items. Yes Response welcome two new members of staff Sue Crease (left) and Liz Hornby (right) who joined our outbound telemarketing team on Tuesday 6th January. 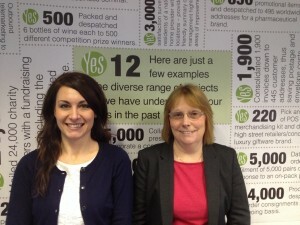 They both bring a wealth of marketing experience that will complement our telemarketing team! Telemarketing not only increases sales but can also help improve your customer service by identifying and highlighting any problems that may have been overlooked or missed that requires attention. This in turn boosts customer service effectiveness and most importantly your revenue! Yes Response can handle any telemarketing project on an ad hoc or ongoing basis, embracing our expertise and integrated communication solutions. Increase your sales and improve your customer service in 2015 with Yes Response telemarketers, who will ensure your company is always portrayed in a highly professional and friendly manner.